Nairobi, 6th June 2018: Transparency International Kenya has today launched the Business Integrity Country Agenda (BICA) Kenya Report. TI-Kenya has been undertaking a study on Business Integrity Country Agenda (BICA) whose main objective is to define and implement a widely shared reform agenda which seeks to reduce corruption in business practices. The project seeks to assess the status of key thematic areas which enable the business sector in Kenya to act with integrity. This will offer a comprehensive and unique approach for gathering key information to provide a credible foundation for action which will result into an important reference point for fighting corruption in business practices within the country. 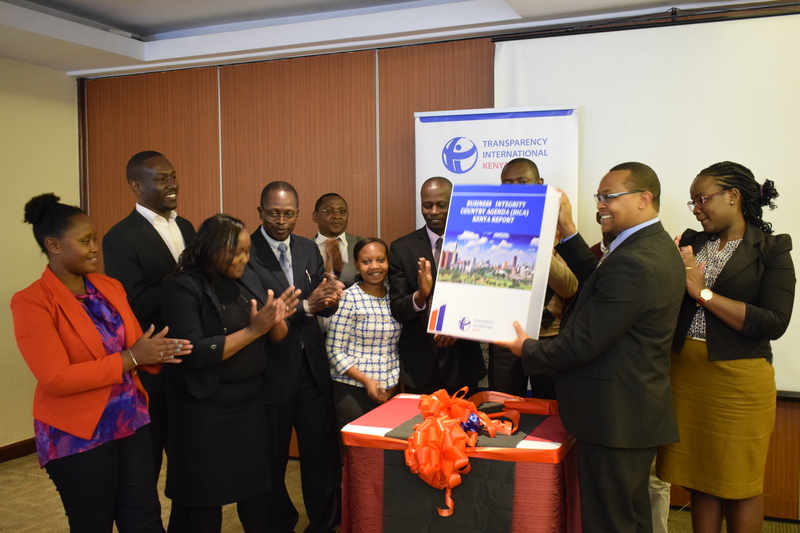 Speaking during the launch of the report, Transparency International Kenya’s Executive Director, Samuel Kimeu said the findings and recommendations of the report were crucial for both public and private entities in promoting integrity in business. The Business Integrity Country Agenda (BICA) is an initiative of Transparency International (TI) developed both to enhance national level business integrity and to create a body of evidence on business integrity in various countries. BICA is a widely shared agenda for reform and acts as a collective momentum towards enhanced business integrity among key stakeholders. It is envisaged that BICA will become an important reference point for fighting corruption in business practices around the globe, including Kenya. Download the Executive Summary of the Business Integrity Country Agenda (BICA) Kenya Report to read the findings and recommendations of the report.